The energy category products are food supplements with certain energy-enhancing herbs, such as Energy drinks with taurine and caffeine, but also vitamin B rich energy pills can easily be ordered here. 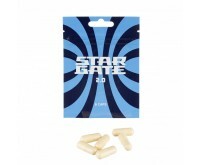 Burst with energy with the healthy food supplements from the Dutch-Headshop. Energy-boosting products like energy drinks and energy pills can easily be ordered here. Everybody knows the urge for more energy. Energy products come in many different types. Dutch-Headshop has an extensive offer in capsules, coffees, herbs and powders that provide an energy boost and other benefits. All products are completely legal and very user-friendly. Energy products know a long history. The herbs and seeds of which many products are made, were already used in earlier times in South-America and Africa. In those times, many products were already used for other purposes than obtaining energy. Think of improving digestion and inducing psychoactive effects. All energy products in our smart shop cause your energy level to increase. Perfect if you need more energy to work, study, sport or party. Your energy dip is postponed, and it allows you to continue without fatigue. Furthermore, you can experience a euphoric feeling and a fantastic high, and you will be sharp and alert for many hours ahead. Energy products are of high quality and are from the well-known labels. Every label has its own identity and qualities. 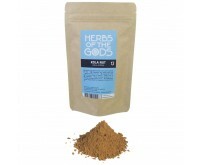 Herbs of the Gods has a diverse offer or herbs and seeds that can be mixed with hot or cold drinks. These herbs or seeds do not only provide energy, they also have a beneficial influence on the human body. For example, some Herbs of the Gods' products can have a positive effect on the blood circulation or the nervous system. Happy Caps principally has products suitable for parties and festivals. Happy Caps products do not only provide a euphoric feeling, they also bring you into the party mood, so you can easily stay the whole night on the dance floor. 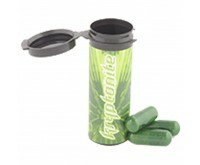 All Happy Caps products are capsules that can easily be taken in with a glass of water. Planning to go out in the evening, after a busy working week? Or you still have to work several hours? In both cases Dutch-Headshop can help you out with a complete offer of energy products.